Lutris [Official Site], the excellent all-in-one game manager solution is really starting to show off now. The latest beta has some nice improvements to tidy it all up. The second beta for Lutris 0.5.0 comes with a refined UI for picking installers and a complete UI for syncing games. Desktop games, GOG, Steam and Wine Steam should now all work properly. One major issue left to fix before the release is the handling of the stop button. I've given the sync feature a test and it works exactly as I was expecting. 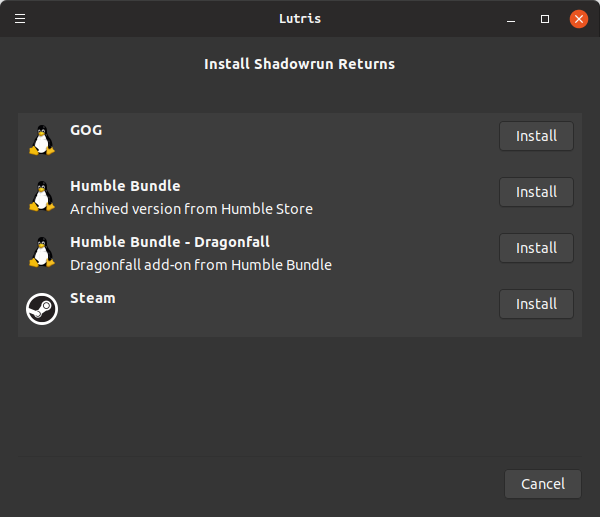 It added some games nicely to my Lutris library and allowed me to very easily download, install and play with the click of a few buttons. It's quick, it looks good and it works well and that's exactly what I want. I'm so very impressed with the work that has been put into Lutris, if they keep going as strong as this 2019 is going to be a fun year for them. Given how nice it looks and how well it seems to work now, this might actually be my go-to application to manage games across different stores. Wow! I never checked this out. Impressive! I wish I had the programming chops to bolt this to the old open-source version of HiveMind UI that Alienware shipped with the Alpha for couch gaming. That would be somewhat fun to try. 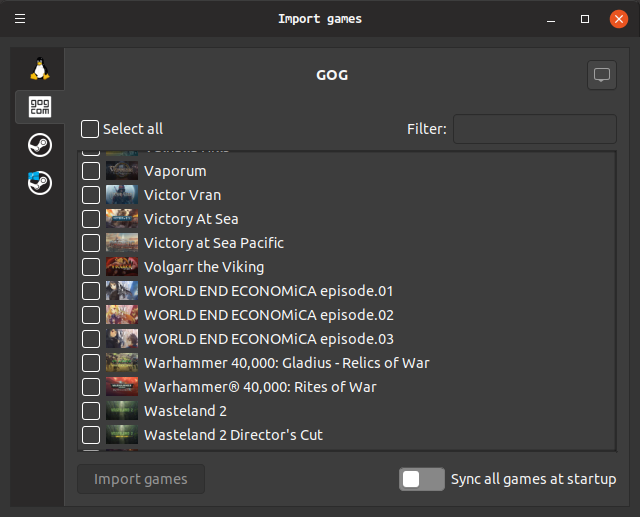 Shame GOG Galaxy doesn't allow you to pic the OS of the game, last time I tried it you couldn't install Linux titles through it. Has that changed? At some point I might have to try Far Cry 3 again and see if it's any better. My last attempt featured a 1060 6GB averaging ~20FPS with a lot of settings turned down. The Far Cry series does not like WINE/Proton. Why not Farcry 4 or 5? I don't have those so can't test them. Many people have told me FarCry5 is crap... so I have no clue. can anyone add and use c64 games with it? If I try to start a game its says e.gl: starting Defender of the Crown. Then some seconds later, it says: "Game has quit"
Sounds like maybe a config issue, enable debug mode and turn on your terminal console in the configure section of launcher icon. TheRiddick Shame GOG Galaxy doesn't allow you to pic the OS of the game, last time I tried it you couldn't install Linux titles through it. Has that changed? How are you running Galaxy? Since you're on Manjaro, you should be able to use this AUR package and then download your Linux games using command line. I assume the Lutris is using the same API calls that this package is. I'm looking forward to Lutris replacing my need for the lgogdownloader program actually. It depends on how many options Lutris exposes through their UI. I like the options I have with lgogdownloader. I'm actually using antergos xfce atm, but its still arch based. Someone should just take lgogdownloader and turn it into a GUI for Linux like GOG Galaxy, that would be pretty funny and awesome at the same time. Could this be the solution to the launcher madness? fenevadkan can anyone add and use c64 games with it? If I try to start a game its says e.gl: starting Defender of the Crown. Then some seconds later, it says: "Game has quit"